You are here: Home / free printables / Free Printables for your home and closet! 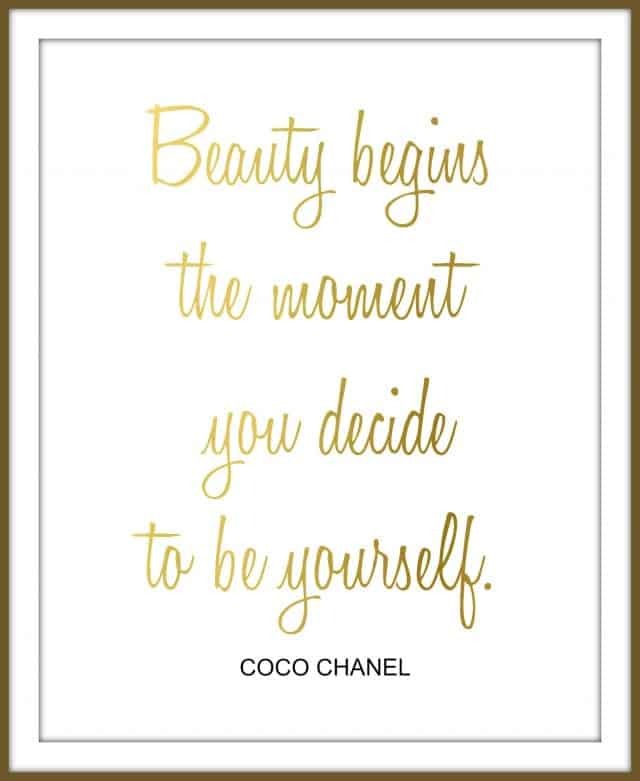 Add a little inspiration to your home and closet with free quote printables from Nate Berkus and Coco Chanel. Download and print for you personal use. Happy Labor Day!! Since we are a day ahead of most of you, we’ve already had a busy weekend. Both of my children had birthdays recently and I crazily planned two birthday parties for last Saturday. They turned out to be lots of fun but were a little exhausting. I’ll be sharing my daughter’s party with you later on this week but it turned out gorgeous and the kids had a ball making crafts and enjoying tea time. 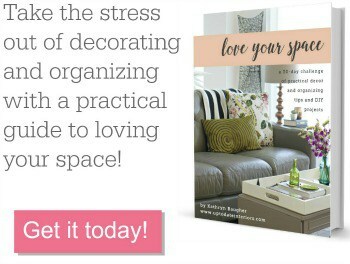 I’ll be sharing tips on how to decorate for a party using decor accessories you already have. I finished a major project today (it’s going live next week) and made a couple of inspirational quote printables to share with you. Here’s a clue to the project and one of my favorite Nate Berkus’ quotes. You can download the 8×10 printable HERE. Looking for a different quote? You can see all of my free printables HERE. Thank you for the beautiful printables. I have more art than wall space, so I’ll be back to explore your ideas. My current artistic arrangements can be best described as random and unbalanced! I’m happy to hear you are enjoying the printables!